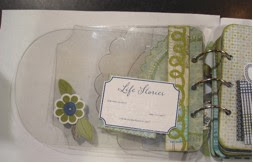 These are pictures of a little mini book using the new Twig collection by Little Yellow Bicycle. 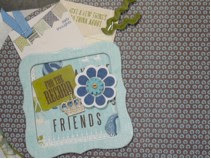 Such a cute paper line and so many adorable embellishments, chipboard, stickers, and tags -- I just had to use all of it. The album is also a LYB chipboard/acrylic album. 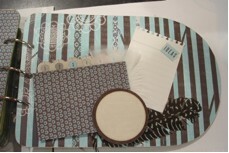 When you fall in love with a paper line that has so many wonderful pieces -- create a project that uses it all! This was SO much fun to create.